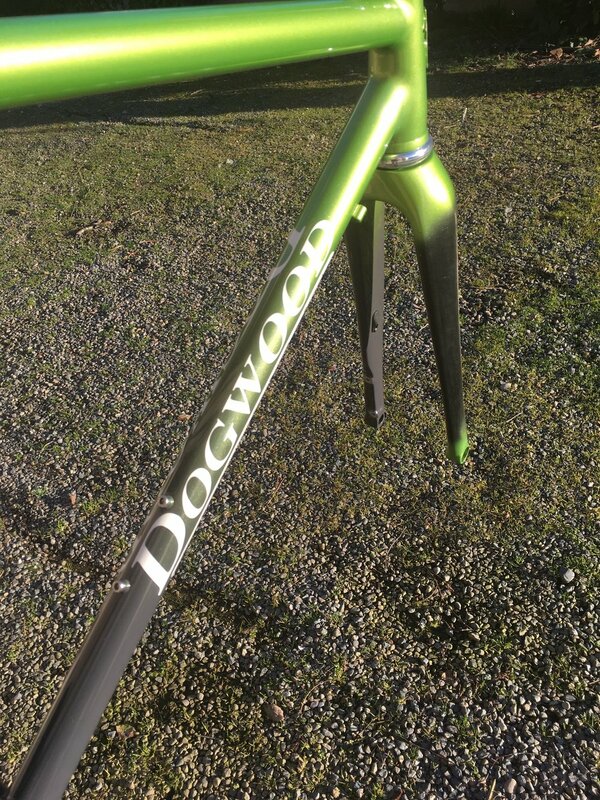 Custom is what Dogwood Cycleworx is all about, nothing production in this shop. 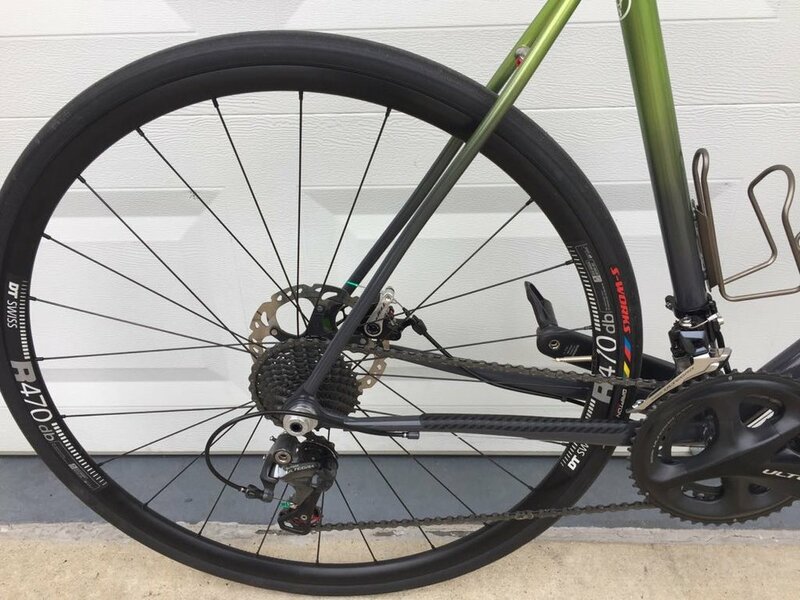 When it comes to a custom bicycle, the needs of the rider are still a big part of that process. 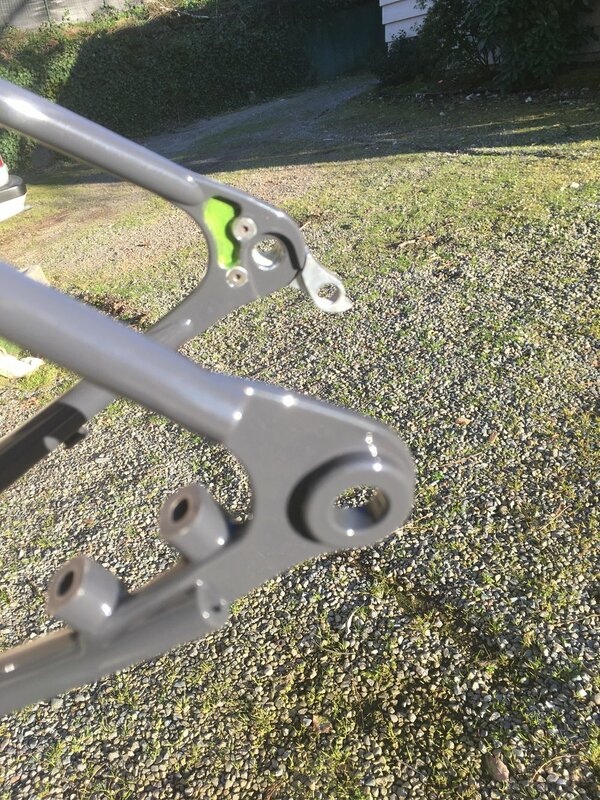 Sizing and use make up the bigger pieces of that pie, components and accessories are important and then paint is just the icing on a great cake. 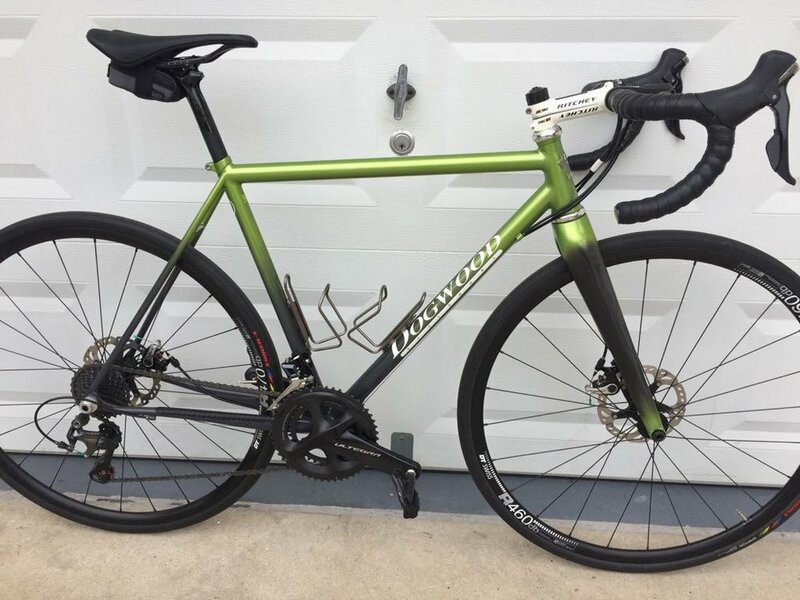 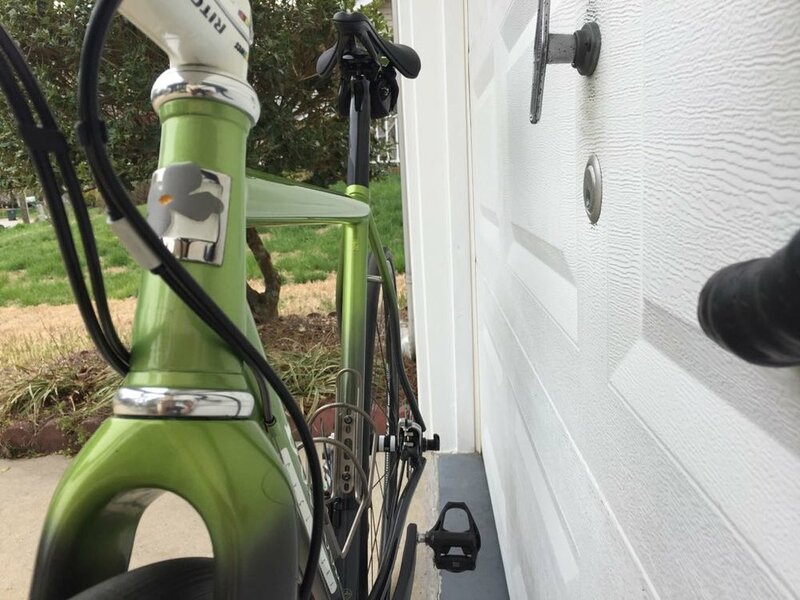 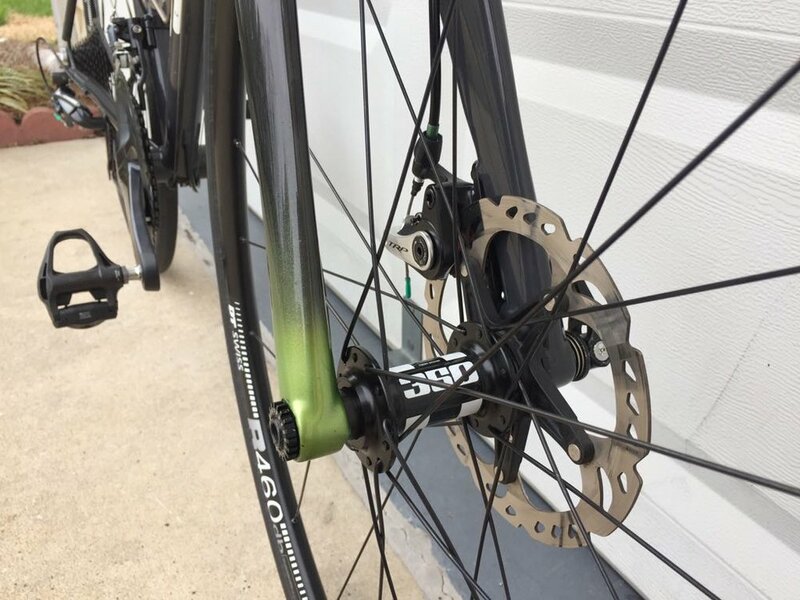 Flat mount disc brakes, thru-axles, tapered carbon fork and head tube, long all day randonneuring rides, fat tires on 700c wheels, and " these two colors " metallic lime green and dark metallic gray. 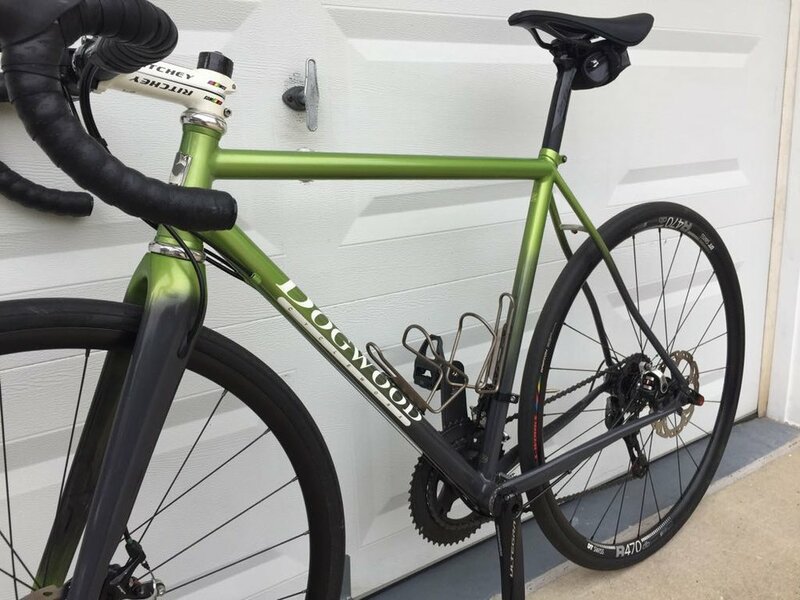 I added some stainless steel bridges for long life and shiny details, stainless steel internal rear brake routing to clean up the lines and never rust, finished with a Cane Creek 110 headset as is standard with any Dogwood Cycleworx build.